It’s commonplace on the left to worry about the extreme stinginess of the American safety net, and when you chart direct social insurance spending America does tend to come down pretty far in the charts. But, as Suzanne Mettler pointed out here in the Monthly more than two years ago, this doesn’t account for tax expenditures (UPDATE: and other similar submerged benefits), which amount to very nearly the same thing as spending. Things like the mortgage interest tax deduction, or the employer-based healthcare tax exemption, account for a vast amount of social spending in this country. 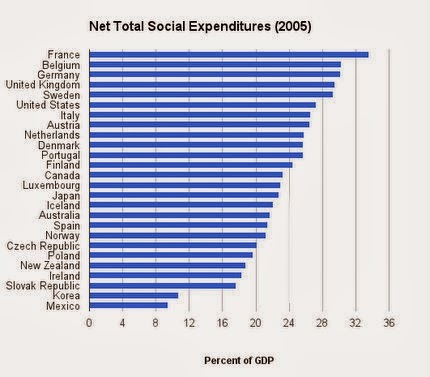 We’re number 5 in social spending! Wait, what? As Matt points out, the takeaway here isn’t that America is a secret social democratic utopia where journalists inexplicably write stories about extreme poverty all the time. Instead, the lesson is that American social insurance is both ratty as hell and extremely expensive, and directs a large portion of its benefits towards the wealthy (tax deductions being the major offender on that front). 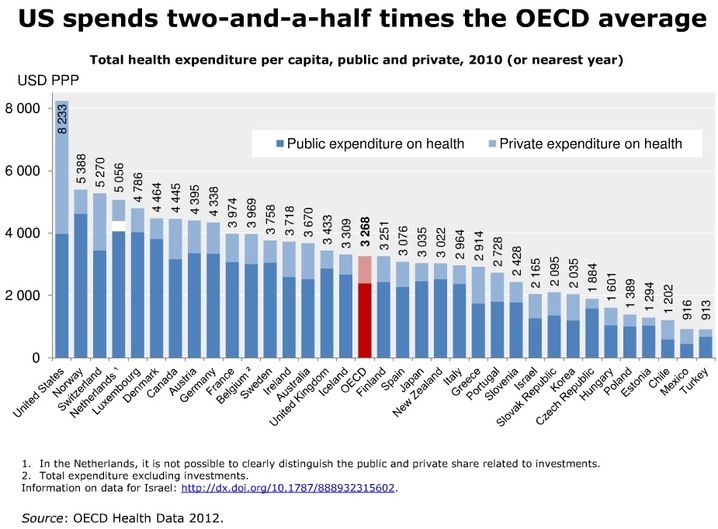 The most striking fact to illustrate this situation is to compare American government health expenditures (that is, ignoring private spending) to our peers in the industrialized world. We spend slightly more government money per capita than nearly every single one of our peers do, and we don’t even come close to universal converage. We cover the old, veterans, some disabled, and the very poor, for more money per capita than Canada does to cover everyone. Then on top of that, of course, we spend a stupendous pile of private money. Anyway, this is just to say that the inefficiency of the kludgeocracy shows up in all kinds of ways. As Matt says, it might be time to move away from the “tax credit du jour” policy model and back towards good old direct government service provision.